Children from 21 villages in Karen State will reap the benefits from an Australia family’s wish to make their father’s 70th birthday extra special. David Ziegler from Sydney, Australia wanted to make Martin, his father’s 70th birthday memorable. David contacted Kanchana Thornton, the director of the Burma Children Medical Fund to see if there was a project he could support as a gift for his father. On behalf of David Ziegler, the BCMF team got in touch with village leaders in Kyarinseikyi Township, Karen State to work on creating the perfect gift for Martin. The villager explained that despite the official ceasefire between the Karen National Union and the government’s military, and the area no longer being classified as a shoot-on-sight zone, the state is still heavily patrolled by the Burma Army. Foreign aid is restricted and requires special permission from authorities just to enter the area, this means many villages have little access to basic infrastructure, health care or education. 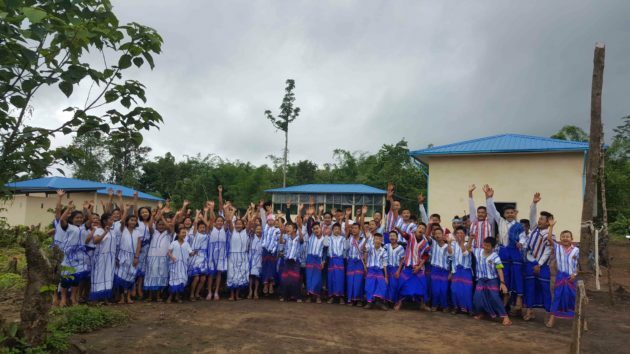 Ms Thornton said BCMF – working together with the Zeigler family, village leaders, parents, teachers and health professionals – decided to improve the student facilities at Noh Paw Wah School as Martin’s birthday gift. The Burma Children Medical Fund (BCMF) was set up in 2006 by Kanchana Thornton in response to help children who needed complex medical treatment and surgery not available at local clinics or hospitals in Burma. The BCMF has expanded its programs to now include special adult and women’s cases, wheelchair donations to children and eye screening programs. Please see Burma Adult Medical Fund (BAMF) and Women’s Gynaecological Surgery Fund (WGSF) for more information.